Irresistible no-bake dessert temptations which are healthy as well. Desserts everybody can indulge in without regret . These no-bake dessert temptations are all prepared with natural nutritious plant-based ingredients. The Christmas Pudding below contains Walnuts, Dates and Avocado, Pecans,dried fruits and a little bit of Whisky. But all the other recipes are without alcohol. Most of them are fast and easy to prepare and can be kept in the fridge before serving. No-bake desserts are also convenient for people who are not in the mood for baking it does not need an oven. The Food Processor makes it fast easy to prepare . These no-bake dessert temptations will also be loved by people who are on a eat gluten-free diet. It will feel great to serve these desserts to your guests and children ( except the one with the whiskey) and it will be a treat after a meal. Enjoy the season. Serve with slightly melted vegan vanilla ice-cream and dusted with Cacao powder. I just realized that I’ve turned on my oven maybe once in the past week. What a glorious thing. Dessert doesn’t always have to be baked in the oven or worked on for hours to be delicious. This raw chocolate fudge recipe involves no baking whatsoever and results in a chocolatey work of art your mouth will be thankful you made. Feel free to replace the walnuts with almonds, peanuts, or any nut of your choice to make this fudge all your own. Find the recipe at ohsheglows.com. Guilt-free and peanut butter = one winning combo. Ok back to reality, i no longer enjoy the conventional dairy cheesecakes, sad face, but i have the perfect substitute for you! 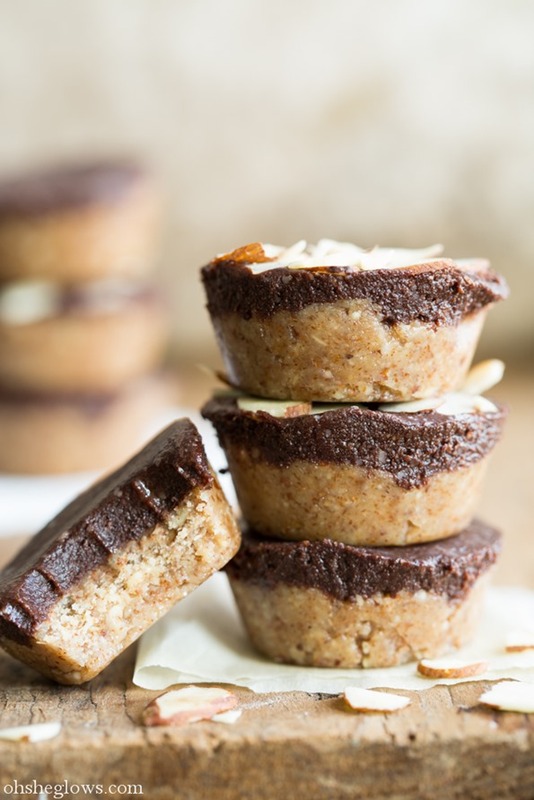 Raw Cheesecakes that are healthy, gluten free and vegan, #winning. You will love these cute, delicious, smooth and creamy Raw Carrot-Orange Cupcakes! This recipe uses walnuts instead of cashews and the texture is perfect when they are frozen! If you like chocolate, you’ll love these Raw Chocolate Molten Lava Cakes. It’s like a mega awesome super chocolate party in your mouth which this results in an excellent, ethereal sense of well being.